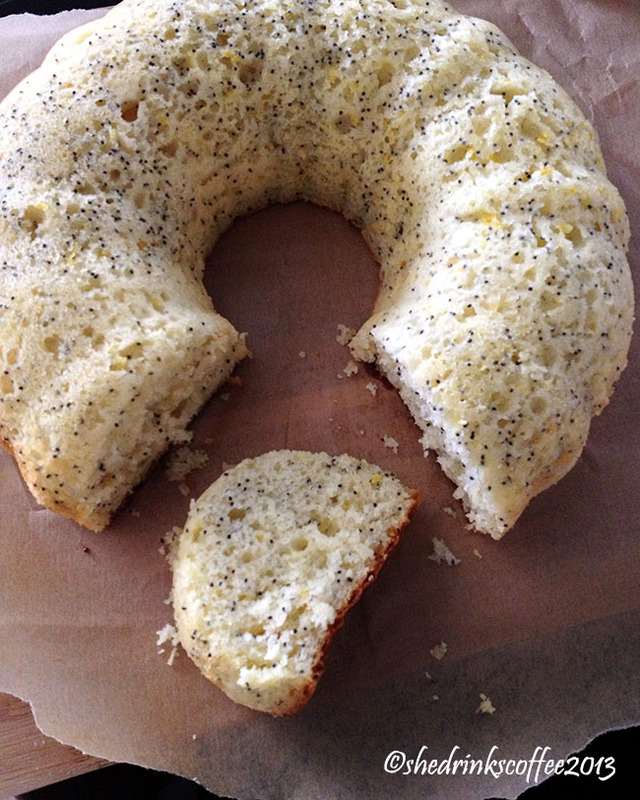 The original recipe for this delicious bread can be found at A Farmgirl's Dabbles (c/o A Cup of Joe). Below is my adapted version. Preheat your oven to 350F/175C. Zest your lemon. I agree, it is one of the more tedious aspects of lemon-related-recipe-prep. But I promise, it will be worth it. 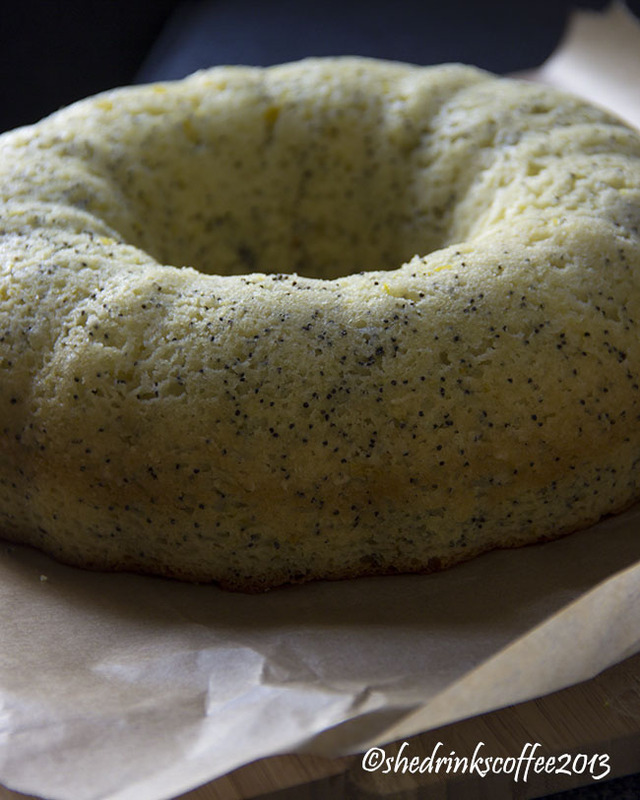 Combine your dry ingredients - the flour, caster sugar, salt, baking powder, and poppyseeds, in a mixing bowl. In a separate mixing bowl, combine the wet ingredients - the buttermilk, oil, eggs, vanilla extract, almond extract, lemon zest and the juice from half a lemon. Blend with a handheld mixer, and then gradually add in the mix of dry ingredients. Blend for another minute or two, until all lumps have disappeared. Lightly grease a bundt tin (or load tins, or muffin tins if you prefer! ), pour the batter in, and bake for about 45 minutes - until an inserted fork comes out clean. Let cool for at least 15 minuets before attempting to dislodge the cake from it's tin. If you'd prefer this WITH the lemon glaze, check out Brenda's original recipe over on A Farmgirl's Dabbles. Embrace it and actually make crumble from it! I have done this with several batches of banana bread and the like in the past, but most recently I had a bit of a cinnamon roll fail. I am choosing to blame out-of-date yeast for their less than stellar texture outcome. Rather than letting the batch go to waste, I converted it to apple crumble!